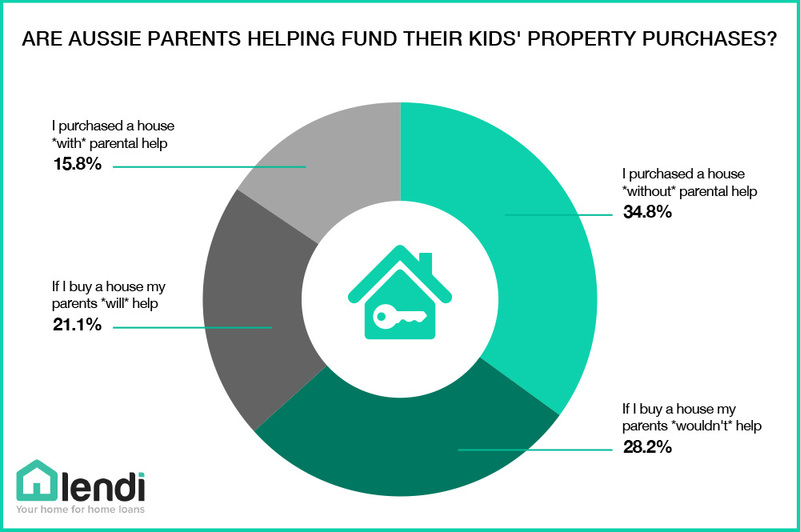 When we asked 1,067 Australians if they’d had help from their parents to purchase a house, 36.9 per cent of Australians confirmed they’d either received help or would expect to receive help. In recent years we’ve heard countless debates about who had it worse: millennials or baby boomers? ‘Hot takes’ have been flung around, the ‘secret’ to saving a house deposit has been plastered on every news website. One of the nation’s more hotly debated opinion pieces advised millennials to cut out lavish spending on expensive breakfasts in order to save for a deposit. While this advice didn’t really hit the mark, did he have a point? We wondered how many millennials – or their parents – had actually considered sharing the burden of that one-off deposit to secure themselves a spot in the market. 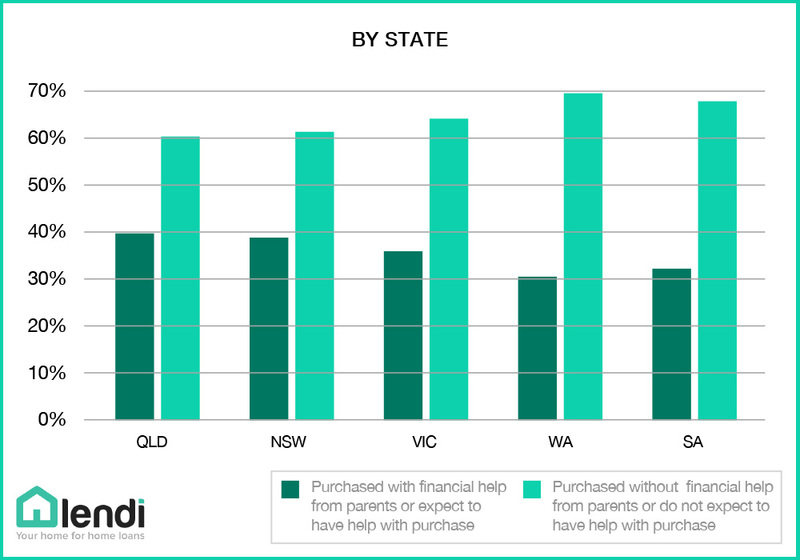 When we asked Australians if they’d had parental help, nearly 2 in 5 Queensland and New South Wales respondents said they did or would need assistance to jump on the property ladder. Perhaps this is not so surprising since Sydney is home to the highest median house price in Australia which is $100,000 higher than its next nearest contender, Melbourne. “I entered into the housing market in 2013 when I was 18 years old,” says 23 year old Queenslander, Robbie Innes. Western Australians were the least likely to expect help. This may be a result of Perth’s residential property values travelling in a downward direction in recent years. Perth’s median house prices are already $190K lower than the national average. Looking at Year on Year median house prices in Australia over the last 25 years, there’s a very distinct upward trend. So, when we look at the housing market and where millennials stand against it – it’s clear that they’re at a disadvantage when compared to prior generations. We saw 45 per cent of Gen Ys say that if they did purchase a home, they would receive help from their parents. A number much higher than our Gen X and over 55 respondents. To add more context to the situation, the median house price 25 years ago (1993) in Sydney was $188,000. Today it sits at $878,325. In 1993, the average Australian earned $26,910 in a year, the average Australian today earns $82,436. So while house prices are 4.5 times higher now, the average income is only 3 times higher. 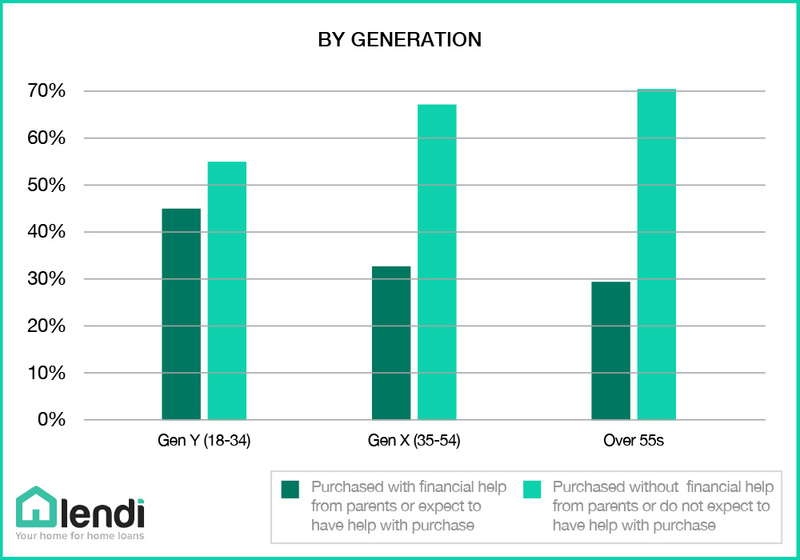 Despite the rise in parental assistance for Generation Y, the majority of Australians are still buying their homes without financial help from their parents. 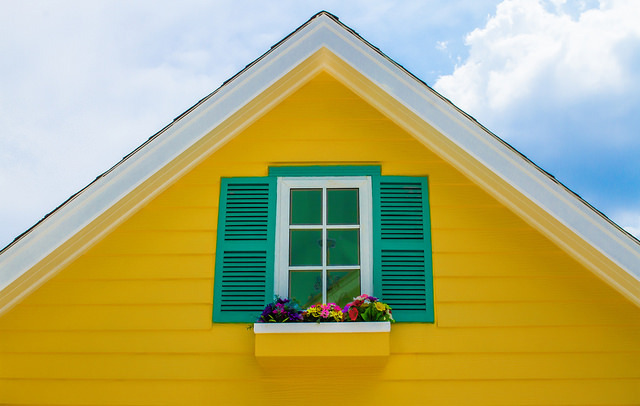 A previous Lendi study indicated that Aussie buyers are switching strategy in their bid to get a foot on the property ladder. Research showed that nearly half (48%) of 18 to 34 year olds would consider rentvesting and buying an investment property in an area they can afford while renting in another area where they want to live. It is clear that regardless of whether you’re in a position to receive help from your parents or not, there are always options to enter into the housing market. Small lifestyle and financial shifts can make it possible to save that extra cash to put towards a deposit. Australia is full of savvy first home buyers working to achieve their homeowning dream. A dream that's certainly not out of reach. How much can you afford to repay each month? We're always here to answer your home loan questions. Choose a time to chat with one of our Home Loan Specialists.